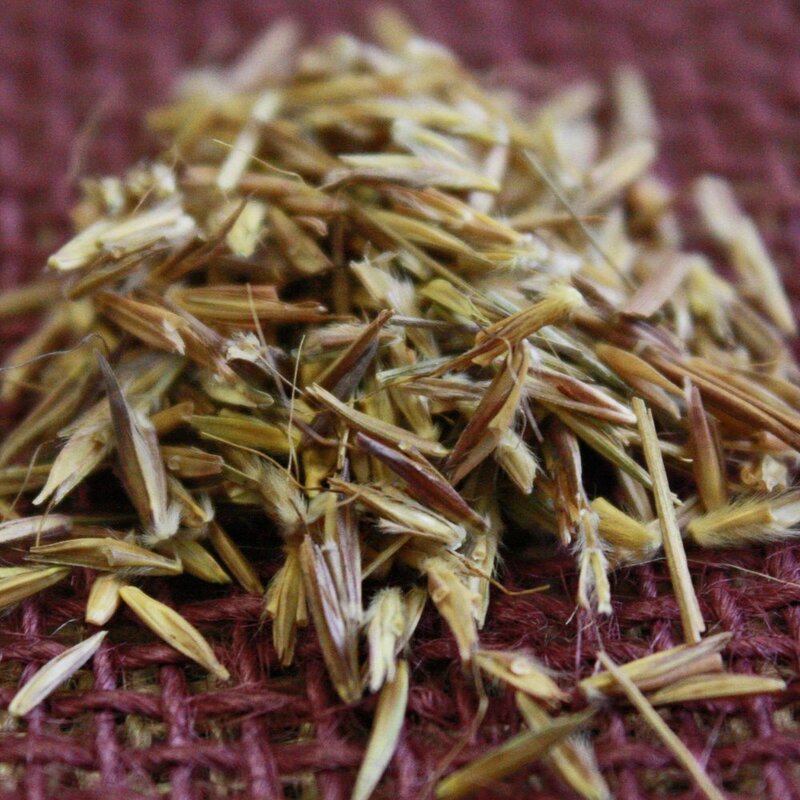 Big bluestem is native to a large portion of North America that forms 3 inch purple or green seed heads. It is used as a pasture and hay grass, wildlife forage and cover, and restoration and erosion control. A very tall and erect grass, it tends to grow in dense stands and has a very deep root system. 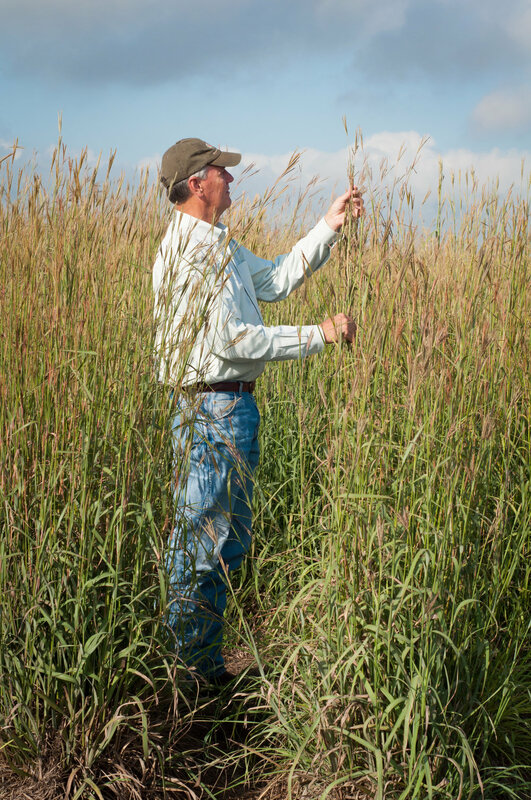 It is adapted to use in well-drained soils with low fertility characteristics, such as prairies. Its growth cycle is three to four months, beginning about early May and peaking in late June. High quality pasture forage for livestock and deer. Provides cover for ground nesting birds. Planting: Plant in early spring at a rate of 6-8 lbs. pure live seed (PLS)per acre at 1/4 to 1/2 inch deep. Soil: Best suited to moist sandy or clay loam soils.